With 15+ years of experience managing and leading frontline teams, I can honestly say I made some pretty fabulous mistakes. Many of those mistakes I only made once but there was one mistake I kept making over and over again and it wasn't until I had to take 6 weeks 'burn-out/stress' leave did the light turn on and it became clear what that mistake was. 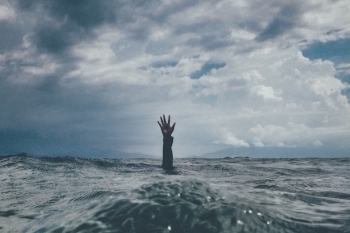 There are 7 Mistakes that I regularly see business/customer service managers make but #4 is a big one as it can lead to that person with wet feet and waters rising. Managing and leading a team requires 2 different skill sets and although some of those skills will help you with training a team, adding service excellence training to your already packed list of 'things to do', is what tips many managers/leaders out of the boat. Having to blend the design and delivery of training activities into the day to day management and leadership of a team made me feel conflicted and exhausted but here's the main reason I found it difficult to do the Big 3 successfully: Staff found it frustrating to be managed, lead and trained by the same person. I was trying to be a 'Jill of all trades' and as honourable as that may seem, it was not sustainable and staff became un-trainable; they didn't want to learn from the same person who conducted their performance appraisals, approved or declined their leave and introduced the changes they may or may not like. · Look within the team. Is there someone who is skilled, willing and available to provide internal customer service training? This can be a great opportunity for professional development for a member of your team. · Beware the 'one size fits all' training approach. If you seek external training providers, make sure they specialise in customer service training AND will customise training to suit your staff, your business and your customers. True customisation is not just adding your logo to the training materials. · Consider accredited and non-accredited training. They both have value - for accredited training options go to www.training.gov.au and for non-accredited then you contact us and below is how we can help you. We are a team of highly experienced and passionate workplace trainers and facilitators who hold Training and Assessment qualifications but more importantly, all of our trainers have a minimum of 10 years’ experience designing and delivering workplace training programs. Our Service Excellence Packages contain all the resources and support you need to identify and apply the right customer service training at the right time so you can be free to manage and lead. Want to know about the other 6 mistakes? Download the 7 Mistakes now.